The 4-channel switch decoder features 8 programmable contact inputs that can be used to operate switches by pushing a button on a control panel or by activating a track contact. 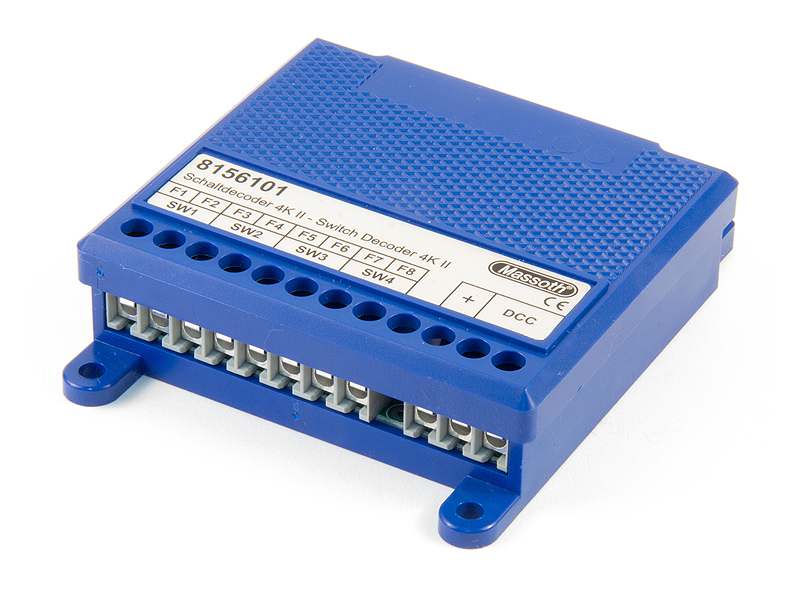 The decoder can be used to control lights, coil-operated switch drives, and electrically-operated motor drives. For instance, it can be used to control the vertical and horizontal displacements of a crane's boom and as well as the operation of its winch and bucket. The Massoth DiMAX 4-channel switch decoder may be used in place of LGB 55025 switch decoder.